What is lawyer negligence? Because lawyers handle so many different legal matters for people and companies, it would be impossible to list all the different ways that a lawyer can commit malpractice. It would be futile to even attempt. It is important to point out that, just like doctors, not every bad legal result is as a result of lawyer malpractice. In fact, when it comes to litigation, the very nature of our judicial system is founded upon some one will win and someone will lose. Does that mean that every losing party has a legal malpractice claim? Of course not. What is the Standard of care? In most instances, your previous lawyer's conduct will be judged by ordinary negligence. That is he needed to have acted in a manner that is consistent with exercising that degree of care or skill as measured against an ordinary standard. In some cases, the standard will be higher when your previous lawyer was Board Certified or otherwise held himself out as a specialist or "expert" in a particular field of law. As you can see, you not only need negligence but your Deer Park Malpractice Attorney must also show you have been damaged, or economically harmed, as a result of that negligence. This is sometimes the hard issue to prove and it is the area that your Deer Park malpractice lawyer will focus upon in your initial meeting. "Possessing an unrevealed conflict of interest or mismanaging of client funds". Because the contract between your previous Deer Park lawyer and you was most probably created by that attorney and you had nothing to do with the wording, Texas courts have strictly construed them against the attorney if any of the terms are ambiguous.This is true both on the actual wording of the contract as well as the scope of authority granted in it. Any violations of contract can serve as a basis to sue. What Damages are Available When you Sue a Deer Park lawyer for Malpractice? What is the Time Period in Filing an Attorney Malpractice Claim in Deer Park? 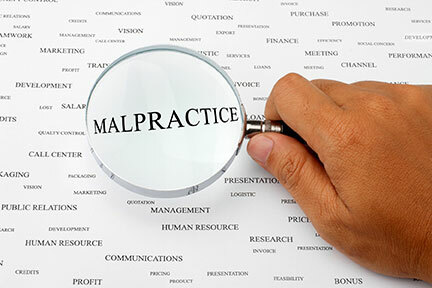 In Texas, the general rule is that legal malpractice cases must be brought within two years from the time the injured party knew or should have known through reasonable diligence of the legal malpractice. This means that the injured party must file suit within that time period. There are, however, some equitable remedies that may extend the time for filing suit. Moreover, each state’s statute of limitations may vary. Clients throughout Southeastern Texas, including Baytown, Channelview, Cloverleaf, Dickinson, Edgebrook, Friendswood, Galena Park, Houston, Jacinto City, La Porte, League City, Lynchburg, Morgan's Point, Pasadena, Pearland, Seabrook, Shoreacres, Southeast Harris, South Houston, Webster and other communities in Harris County.